But anyway, I happened to have a piece of this fabulous Carolyn Friedlander quilting cotton left in my stash and decided I’d use it to sew the new Lisette for Butterick B6561 to show you what it looks like in a non-drapey cotton. So here I am, at the end of a photo shoot (in which I was not the model), to show you how it looks. 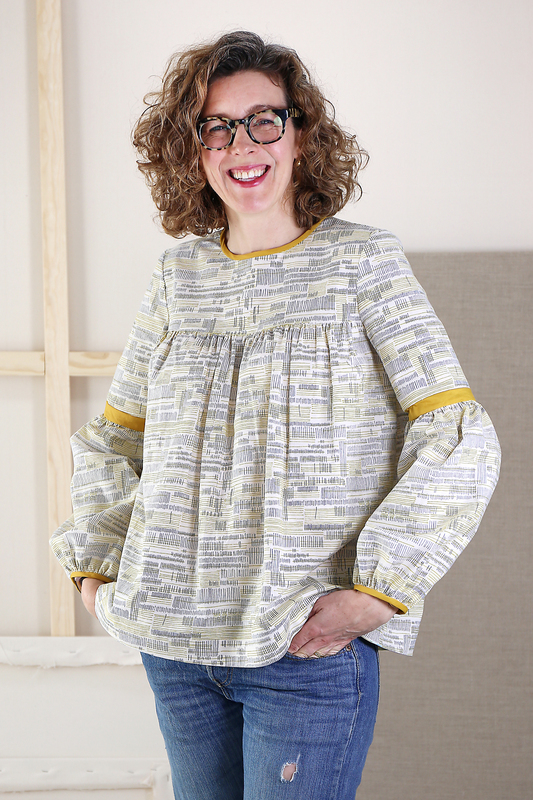 This is definitely one of those tops you can just throw on with jeans and feel a little fancier than a plain T-shirt, and I think it will be especially useful this spring. I had fun with the yellow trim I used to break up the pattern a bit. You can see why I think it would be fun to add ribbons to this pattern, right? The yoke seam would be an ideal spot for an interesting ribbon. In addition to adding that little piece of yellow at the sleeve, I also added a little length to my top but I think that’s all I changed. It’s a quick and fun sew, and if you prefer less volume it would be really easy to take some out. Just position the cut-on-fold line beyond the fold so the blouse ends up gathered less. You could do this with the sleeve as well. What do you think? What fabric would you choose for this pattern, and which view do you prefer? Really cute, and I love the colors. The yellow really pops! 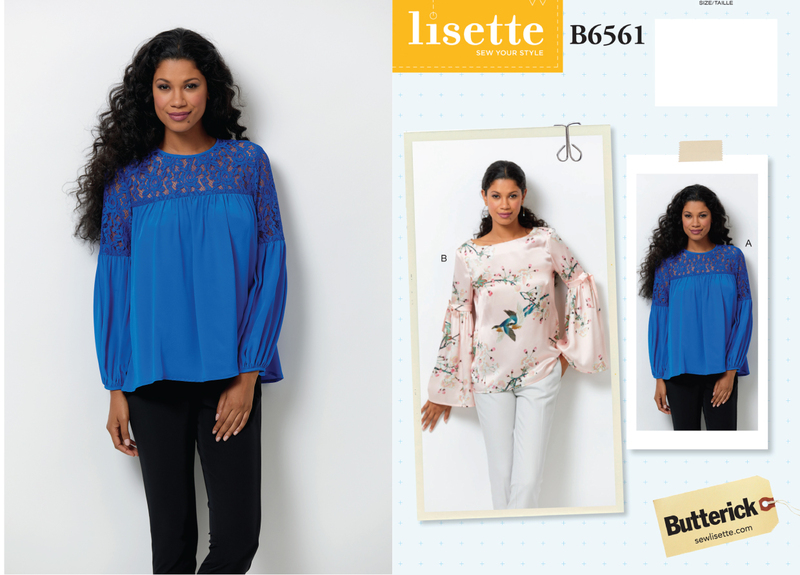 I was thinking that you could lengthen the front to make a great summer maternity top and brilliant for breastfeeding too.